If you have more than one crew working on more than one job site at a time, chances are you spend more time than you’d like simply trying to keep track of tools so you can get them where they are needed. 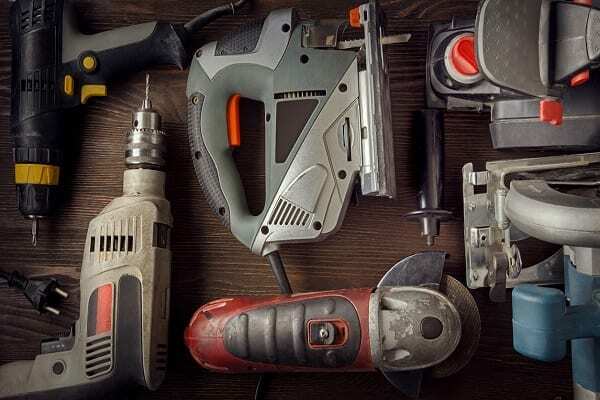 Given the chaotic nature of job sites, it’s also likely your crews lose hundreds of dollars’ worth of tools every year. It’s also likely that this is all taking a bigger bite out of your profits than you realize. Few things kill productivity like a worker who can’t complete a task because he or she lacks a tool. If you think your outfit is losing more than $2,000 a year for these reasons, it may be time to consider one of the many tool tracking services. These enable owners to tag their tools with bar code stickers that can be used to track chain of custody, warranty expiration dates, service records, how long a tool was used on a specific job, depreciation schedules and other tool details. Asset tracking platforms generally offer their tool tracking services via subscriptions ranging from a few hundred dollars a year to a few hundred dollars a month, depending on how many items you want to track. The fees include a smartphone app that your workers can use in the field to scan stickers, enabling you to track who was last responsible for a tool. One big advantage of using bar code-based tool tracking services is that they can track anything that can accommodate a sticker, including smaller hand tools, which are the easiest to misplace or drop. They tend to use cloud-based platforms, which means changes in tool custody are reported in real time. They are also scalable, which is to say they can be expanded as your tool inventory and payroll grow. GoCodes’ starting service will track up to 200 items for $199 a year if you are willing to print your own QR codes. For $59 a month, you can track up to 500 tools using GoCodes’ patented customizable QR codes. For $200 a month, you can track up to 1,000 GoCodes QR codes. GigaTrak tool tracking services starts at $75 a month, including data hosting services. Toolmaker Hilti will send employees to your business to build a custom version of its ON!Track asset management system. While all these tool tracking services will help you determine who was last responsible for a tool, they won’t help you find tools that are lost. For those concerned primarily about finding or locking missing power tools, solutions are emerging. Tracking is increasingly being built into power tools through smart tool platforms that provide remote tracking, programming, diagnostics and other features. In 2015, Milwaukee became the first major U.S. brand to introduce this with its One-Key platform. In addition to building One-Key into new tools, Milwaukee launched a Bluetooth-enabled beacon called Tick that can be glued, screwed, rivetted or strapped onto any tool. When a Tick-equipped tool is flagged as stolen, One-Key will alert the owner when tool comes within range of its app. At that point, the owner can remotely disable the tool. TICKs are sold for about $20 each but can be bought in multi-packs for less. Later in 2015, DeWalt launched Tool Connect™, which allows users with its Bluetooth-enabled batteries to connect and track tools. The company released a battery adapter that can be used to connect any of its more than 180 existing 20V MAX tools to the platform. DeWalt also sells tracking tags that can be attached to existing tools for around $20 each or in multi-packs. The brands chose to go with Bluetooth technology because its minimal power requirements make it ideal for cordless tools. The tradeoff was that Bluetooth devices can only detect and communicate with devices within 100 feet. In other words, neither platform can help owners find or lock lost or stolen tools located outside an active jobsite. In December 2017, meanwhile, Bosch launched a GPS-based tool tracking technology by releasing the Bosch GSH27-26 Brute™ Turbo Breaker Hammer and a GPS tracking module that can be used to retrofit its current line of SDS-max hammers. The GPS tracking device works for months at a time because it’s powered by a lithium-ion battery that recharges automatically as soon as the tool is plugged in. The tracking device can notify a user about various activities, including non-working-hour activation and non-authorized location use. It also reverts to cellular network coverage when a GPS signal is not available and can be managed through the free Bosch GPS tracking app. Bosch has bundled a year of GPS service into the sale price, but owners will have to pay $9.99 a month or $99 a year for the service thereafter. Deciding which tool tracking solution, if any, makes sense for your business will require research and number crunching. Some of the tool tracking services won’t release pricing information until you let a rep walk you through a demo. Regardless, ask what happens to all your data if you decide to switch to another vendor or bring your tool tracking in-house. Having to retag all your tools could be a real productivity killer.